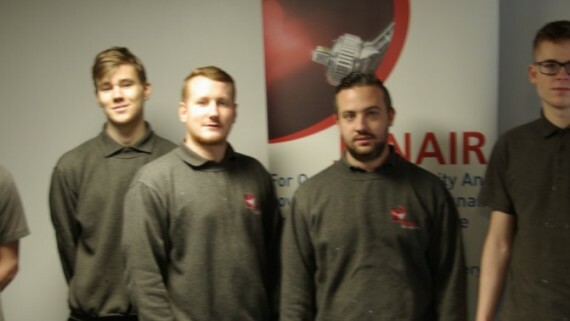 Junair Spraybooths have just completed their fifth successful project for KC Autos, one of the UK’s premier motor repair groups covering the North West of England, North Wales and North Midlands. The customer is delighted with this latest Junair installation, which is part of an impressive, new £1.8 million development for KC Autos at Festival Park in Stoke on Trent. The project included the installation of two spray booth ovens with a central preparation area and side-loading vehicle transfer system. 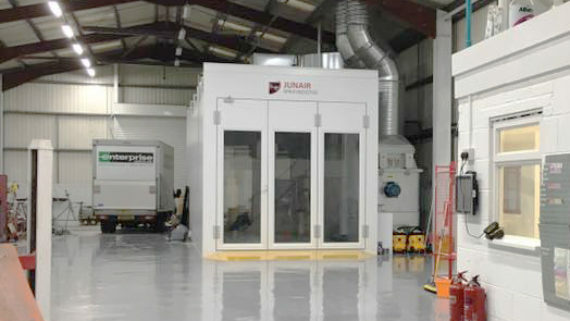 A third spray booth, specifically for cosmetic and rapid repair applications, has also been installed by Junair. 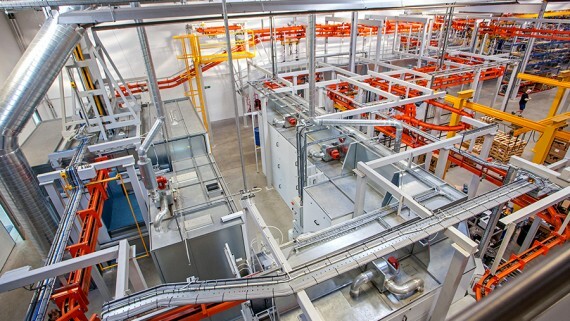 All the spray booths feature energy-saving QADs technology to speed up the process time. 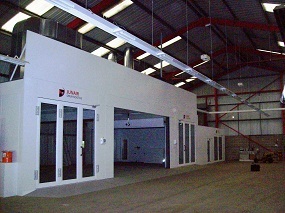 In addition, Junair Spraybooths have installed dust extraction, lighting, compressed air services and associated equipment to complete this state-of-the-art facility for the Stoke-on-Trent area. What was an empty building just a matter of weeks ago has now been transformed by Junair into a complete body repair centre. Work is scheduled to be completed within the next few days when the modern new KC Autos facility will be open for business. 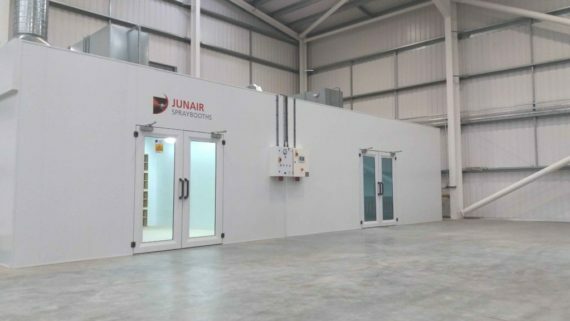 Whatever the size of your business, Junair Spraybooths can offer you professional and cost-effective spray booth systems, from a single vehicle spray booth for the auto repair industry, to complex, automatic paint spray booths that form an integral part of a production line. 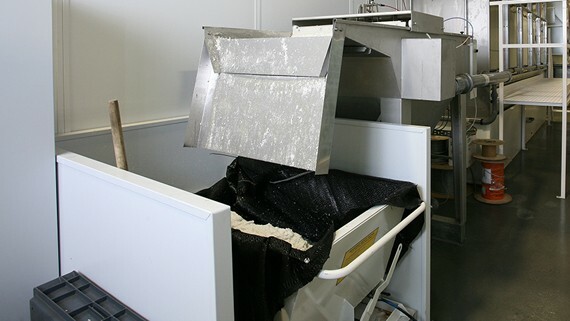 We create bespoke spray booth solutions for a wide range of industries and with the total commitment of our experienced designers and engineers to your project, you can be assured that a Junair spray booth will meet all your requirements.